Invited for a anniversary celebration, Kindaichi, Miyuki and inspector Kenmochi re-visit the Opera House. There they discover that a play of "The Phantom of the Opera" is being rehearsed again. However, it doesn't take long when members of the acting troupe are killed by the "Phantom". Kindaichi will once again have to solve a murder series in the Opera House. 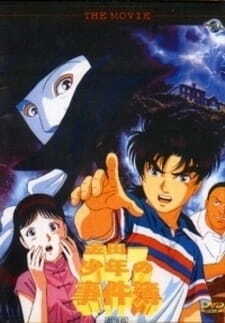 Who watches Kindaichi: Shounen no Jikenbo?